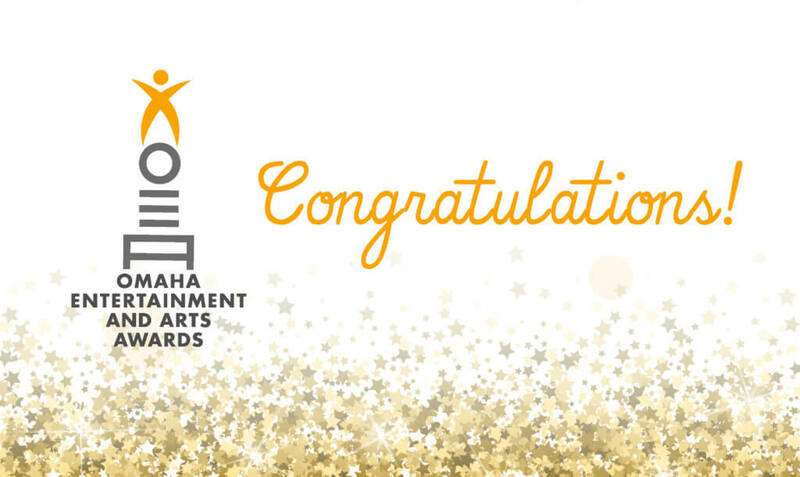 The Omaha Entertainment & Arts Awards (OEAA) recognizes some of the most talented artists and entertainers in the Omaha area. Voting for the awards is separated into three genres: Visual Arts, Performing Arts and Live Music. To be eligible for an award, artists must have performed or exhibited work between September 1, 2017 and August 31, 2018. Congratulations to the following nominees. Winners will be announced at the 13th Annual Omaha Entertainment and Arts Awards on January 27, 2019. Does OEA Include filmmakers as well? I write and direct films locally so I was just curious is there’s ever a possibility in the future.